One of the best things to do in the fall besides pick pumpkins is to take a scenic tour to see the changing colors of the leaves. There are some great drives around Denver that are picture-perfect. Back at home, leaves aren’t so much picture-perfect as they are a nuisance that has to be swept up. It’s all part of having a home surrounded by trees! Raking up the leaves is a good way to kick off your winter maintenance schedule for the home. There are many proactive things you could do around the house that will ensure your winter will be comfy and cozy. Clearing the yard of debris should be top of the list. Not only will it be safer but you’ll also minimize the risk of pests and other creatures building nests. Any pile of lumber, spare tires or even leaves can become winter home for those uninvited guests. All of that debris can be cleared away with one call to Junk King Denver. Clearing away your yard waste can mean that the crews working for Junk King Denver are probably going to get their hands dirty. That’s just fine with them. In fact, if they come back at the end of the day as clean is when they left then clearly something is wrong! 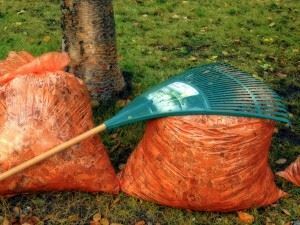 A lot of the things you might want to get rid of around your yard could also be very heavy. Weight is never an issue for the Junk King Denver team. If you want to get rid of chunks of concrete, stones, bricks, pavers or even amount of dirt, they will happily load all of that onto their truck. Getting ready for winter might also mean clearing out all the junk you’ve got in storage in the guest room. You certainly don’t want to invite any other time guests to share space with boxes of clutter. Turn that all over to Junk King Denver. You’ll find that working with Junk King Denver to remove your unwanted clutter is not only efficient but also affordable. The fees they charge are based strictly on volume and not weight. Will your home be ready for winter? A junk removal session with Junk King Denver can certainly help get you there. This entry was posted in junk removal and tagged Junk King, junk removal, winter, yard waste on September 30, 2016 by Paul Durant. Last updated August 15, 2017 . Now that the kids are back in school, homework is becoming part of their nightly routine. It is beneficial to set some boundaries with regard to doing homework. Most experts recommend that you designate a specific time to get that homework done. You could work this out with your kid as to what they would prefer. Right when they come home from school or immediately after dinner are the two obvious choices. It’s important to be consistent when you set up the homework times so that they know what is expected of them. It is also helpful to designate a clutter free homework zone. Whether that is a dining room table or their own bedroom, it’s important that they have the space to be productive. This is where Junk King Denver can be of assistance. You certainly don’t want to hire Junk King Denver to take away a few magazines and old newspapers. Though should just be recycled. 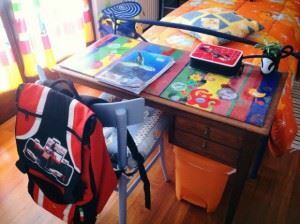 But if you need to create a space with a desk where your child can do their homework, then bringing in Junk King Denver to remove old furniture is a smart way to go. They could also remove a lot of unnecessary stuff from your kid’s bedroom. Beyond the clutter free homework zone, the crew from Junk King Denver can work their magic throughout the rest of your house. This is a perfect chance to finally tackle all that clutter in the closet. What about removing all the unwanted rubbish from the garage? It can all be gone in a single junk removal appointment from Junk King Denver. Just because you’re giving all your unwanted stuff to Junk King Denver doesn’t mean it’s going to be thrown onto a trash heap. Instead, Junk King Denver will make every effort to find a new home for those items. That means dropping them off at those charitable organizations that can turn them over to families in need. This is something that Junk King is happy to do without charging you any extra. Just think of how much better your home will feel once all that clutter is removed. If you’re ready to make your home clutter free, then you’re ready to call Junk King Denver. This entry was posted in junk removal and tagged clutter, homework, Junk King, junk removal on September 24, 2016 by Paul Durant. Last updated August 15, 2017 .